Chemical Etching, also known as Acid Etching, is a process of using a strong acid to cut into another substance. 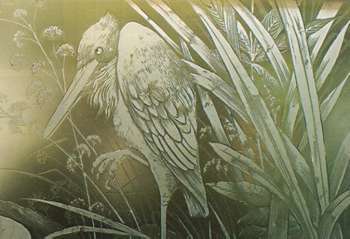 The etching process is used extensively today for both industrial and artistic purposes. 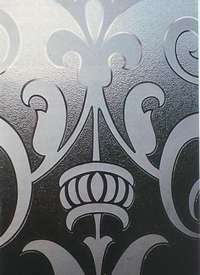 We are focusing on the artistic perspective of the acid etching process, which is used primarily to create detailed artwork patterns on metal plate or crystal glass. 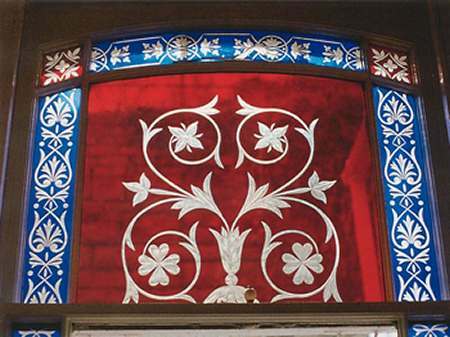 Crystal Acid Etching uses an acid solution to cut away the crystal glass in a controlled, even way based on the original crystal design patterns. The acid etched crystal glass has a distinctive, soft matte finish, and leaves a uniformly smooth and satin-like gloss finish. Acid-etched crystal glass admits light while providing softening and vision control. Due to safety reasons, Crystal Acid Etching is rarely used today but it does have a softer, more pleasing appearance than sandblasting etching process. A “resist,” usually made of wax, or a similar sticky substance, is placed on the glass where the natural color is to remain. Acid etching involves principally the use of hydrofluoric acid, one of the few acids which will rapidly corrode crystal glass. The prepared crystal glass stencil is dipped into a hydrofluoric acid bath. The acid will rapidly frost the unprotected crystal surface. Once reached the desirable depth, the glass will be retrieved for cleaning. The etching process is risky undertaking; hydrofluoric acid is an extremely dangerous chemical and the fumes generated along the process are not only obnoxious, but dangerous. For average home craft enthusiast, using etching cream will be a much safer alternative for small home project on crystal glass. The etching cream will be wiped over the prepared stencil. It will leave behind a cloudy pattern. These etching cream do not eat into the glass for a permanent etch like hydrofluoric acid does.